Listmaking is one of my most favorite things to do. In part because I'm a little OCD, in part because I'm super forgetful ... making lists both relax me and keep me on track. Besides, who doesn't love checking something off a to-do list? 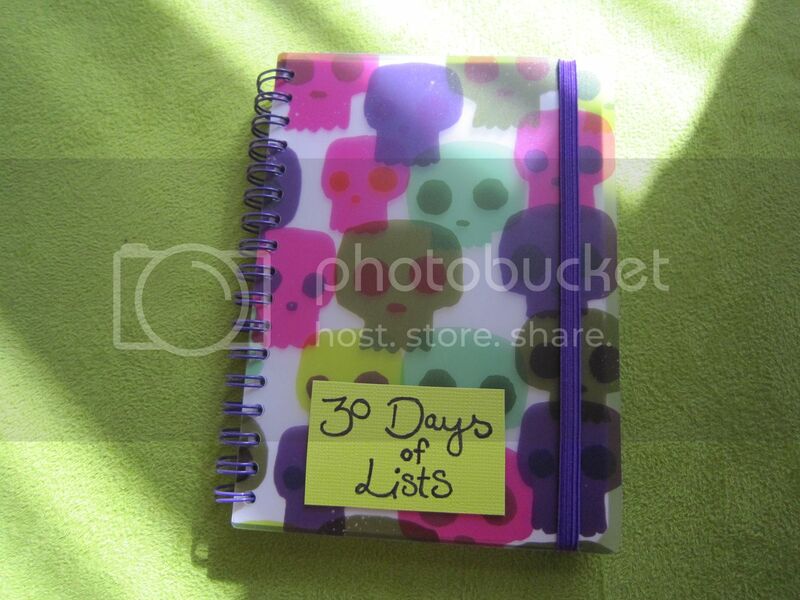 With that in mind, when I heard about the 30 Days of Lists journaling project, I jumped at the chance to sign up. Not everyone can make a mini scrapbook every week or an art journal page every night. 30 Days of Lists is our encouragement and challenge to you that you CAN journal just something every day—even something as small as a list. Every day through the month of March we will be posting a list prompt - anything from weekend goals to celebrity crushes. 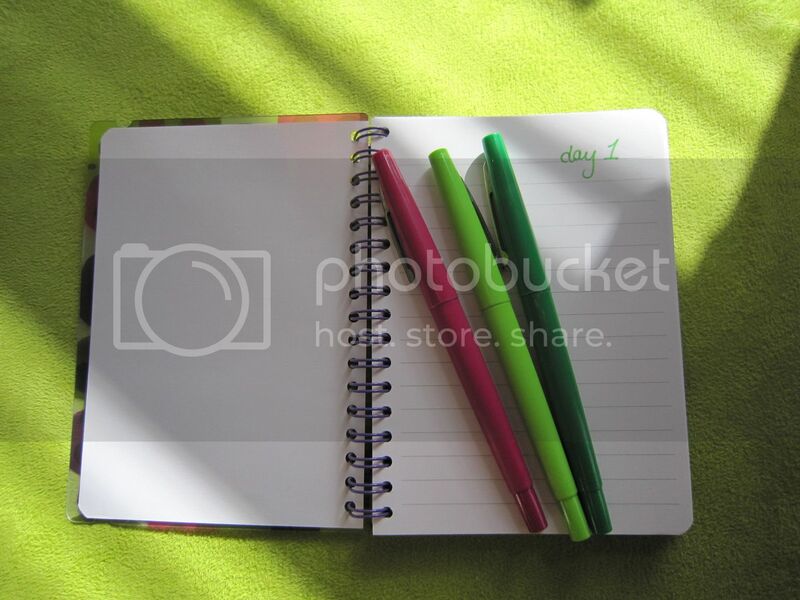 At the end of the 30 days you'll have a collection of entries creating a small snapshot of your life right now. Only 5-10 minutes per day are really needed. While you're waiting for someone, or when you're the passenger in the car. There's no wrong way to do this and if you don't like a prompt on a certain day, just change it. I've never been good at keeping up with a daily journal, partly because I don't make it a priority when I have other things to do. But something that takes 5-10 minutes? I can totally do that. The project official commences tomorrow. Join up, if you're interested! I grabbed a blank notebook I had in my closet to use for the project, and some of my most favorite Paper Mate 'Flair' pens to match. And, for fun, I'll share my journal pages here on Fridays for all to see. Listmaking = happymaking in my world. Thanks for posting about it <3 I can't believe I didn't know about it until now! Signing up RIGHT NOW. This will be fun! Cuppy-Yay! I think/hope it's going to be really fun. I love lists! But I don't believe I shall be taking part as I'm already making loads of lists all over the place.